In this interview, Pat Whitworth, MD, Breast Surgical Oncologist and Director of the Nashville Breast Center in Tennessee (USA), discusses recent advances in breast conserving surgery including new approaches to tumor localization. Additionally, Frank Vicini, MD, Chief Academic Officer for Michigan Healthcare Professionals and 21st Century Oncology and Professor of Radiation Oncology, discusses data from a landmark study recently presented at ASTRO 2015 and published in The Lancet that have the potential to change the standard of care for postsurgical radiation therapy. OC: 2015 has been a big year for breast cancer news. What are a few of the highlights from your perspective? 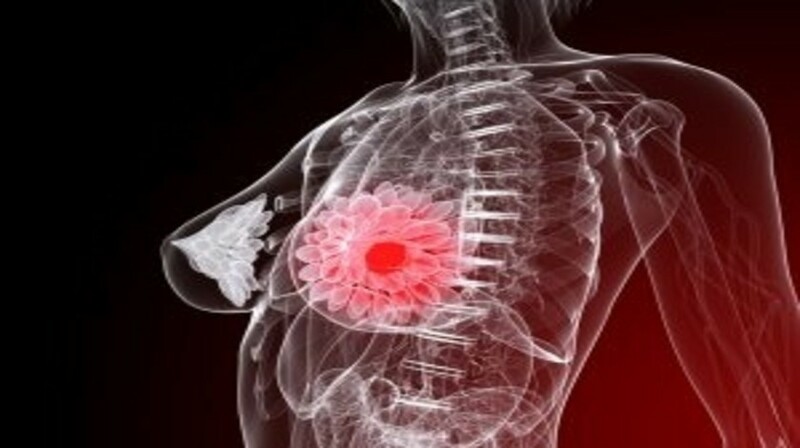 PW: Breast surgeons have always been challenged by finding ways to precisely locate tumors that can’t be seen or felt. For many years our best option was wire localization – literally placing a wire into the patient’s breast prior to surgery. This technique was introduced in the 1970s and had limitations from both the surgeon and patient perspectives. More recently, surgeons started using intraoperative ultrasound (IOUS) to guide our dissection and surgery; with IOUS you can get much better guidance than just guessing where the wire is and trying to dissect down to it. The better guidance the surgeon has, the less volume of tissue we need to remove. In terms of improving surgical efficiency, one of the biggest advances we’ve seen this year is the introduction of the SAVI SCOUT® surgical guidance system. The system, similar in many ways to radar, consists of a nonradioactive reflector, handpiece and console. We use the handpiece to detect the location of the implanted reflector. The console provides real-time audible and visual indicators of the proximity of the reflector, giving surgeons a precise way to target tissue during lumpectomy procedures. OC: What has your experience been like with the SAVI SCOUT surgical guidance system? PW: I use IOUS to place the marker in the OR prior to the lumpectomy procedure. Once the dissection has started, IOUS guidance is cumbersome compared with using SAVI SCOUT – with IOUS, you have to remove your retractor, turn the lights down, stop to get a look, put the ultrasound probe down, put your retractor back in place. With SAVI SCOUT, everything is retracted and held in place. I can be ready to make the next cut through the tissue, grab the handpiece and make the cut more precisely in reference to the target. I find this to be more precise guidance with the immediate real-time feedback on target location as the dissection proceeds. This adds to my confidence tremendously because IOUS can be a little hard to interpret as I am dissecting to and around a complex specimen when the lesion or marker is not that easy to see to begin with. With the reflector in position, you get feedback through the entire duration of the case. I’m less concerned about getting to target tissue and not having to take too much extra normal tissue just to be sure of capturing the target because I know I can get right down to it, even if it’s in the back of the breast. And like most cases using IOUS, we don’t need to coordinate scheduling of the two procedures, so it also puts surgeons in an advantageous position to do an 8 am procedure vs. starting at 9 or 10 am. The situation is the same when the radiologist places the reflector for an ultrasound-invisible lesion. Because there is no wire protruding from the breast, the reflector can be placed anytime during the week before the procedure. OC: What is your perception of the patient experience with this surgical guidance system? PW: Wires are another insult to the patient – a wire sticking out, taped on the chest. With this new guidance system, you don’t get out of having to have a procedure, but at least you don’t have a wire sticking out of the breast. The SAVI SCOUT reflector can be put in up to 7 days before surgery at the patient’s convenience; it doesn’t have to be on the day of the procedure; they don’t have to walk around or roll around with a wire sticking out of the breast; it’s convenient and more comfortable for patients. OC: To shift gears a bit, the largest radiation oncology meeting in the world recently took place in San Antonio (ASTRO15). One of the biggest announcements was data from the GEC-ESTRO APBI study. Can you describe the objective of this trial and summarize the key takeaways? FV: The GEC–ESTRO accelerated partial breast irradiation (APBI) trial is the largest prospective, randomized Phase III multicenter trial to directly evaluate the role of multicatheter interstitial brachytherapy alone compared with whole breast irradiation (WBI) in a defined low-risk group of invasive breast cancer or ductal carcinoma in situ (DCIS). In total, 1184 patients were included in the study. Results demonstrated that APBI brachytherapy leads to equivalent overall survival, local and regional cancer control rates as compared with WBI after breast conserving surgery for selected patients with early stage breast cancers. OC: What is the difference between APBI with brachytherapy and WBI? FV: APBI with brachytherapy delivers tailored high radiation doses directly and precisely to the target tissue from within the breast. This ensures that surrounding healthy tissues and organs, such as the heart, lungs and skin are spared from potentially harmful radiation, limiting the risk of associated toxicity and improving cosmetic outcomes. By contrast, WBI uses an external beam to deliver radiation to the entire breast. Because radiation is going through healthy tissue to reach the target area, it requires frequent low radiation doses to minimize potential damage and therefore requires 6–7 weeks of daily treatments. Women may experience side effects as a result of excessive radiation exposure to healthy tissue, as well as the skin, ribs, heart and lungs. In addition, this extended treatment schedule can significantly disrupt a woman’s life, whether it’s interference with family, the cost of missed work, or the difficulty of traveling to a medical facility every day for several weeks. OC: How might these data potentially impact current clinical practice? FV: As women learn about the potential advantages of APBI, they will undoubtedly request it. ASTRO announced at the 2015 annual meeting a reduction in the age limit for suitable candidates from APBI from 60 to 50 years of age. This is a significant change and the guidelines will go out for commentary in December 2015. OC: Dr Whitworth, what do the GEC–ESTRO APBI brachytherapy data means to you from the perspective of a surgeon and how do you expect the findings to impact your patients or practice? PW: This is the level one proof that clinicians have been waiting for, demonstrating that APBI brachytherapy is as effective as traditional WBI in a large subset of patients. These data strongly demonstrate the proof clinicians need to fully embrace an approach that is kinder to the patient, less time consuming and targets only the tissue at risk. OC: The GEC–ESTRO trial used interstitial multicatheter brachytherapy, which is not commonly performed in the United States. Do you expect divergent clinical outcomes with this procedure vs. single entry, strut-based brachytherapy? FV: In the States, other forms of brachytherapy, such as strut-based, intracavitary devices are used to deliver radiation. There is no reason to believe that these devices cannot produce the same results as the ones shown in the GEC–ESTRO trial. As long as the radiation is covering the same target area around the tumor bed and delivering that dose safely, one should expect the same results as interstitial brachytherapy. OC: Now that a sizable body of solid clinical evidence exists to support the use of accelerated treatment with brachytherapy, what does the future hold? FV: I believe we will continue to see shorter periods of radiation treatment for appropriately selected patients. In fact, the GEC–ESTRO data used 7–8 fractions instead of the commonly used 10. A trial known as the “TRI-fraction Radiotherapy Utilized to Minimize Patient Hospital Trips” (TRIUMPH-T) is underway to explore the efficacy of treating patients with radiation delivered over a shortened period of only 2–3 days. Researchers expect that results from TRIUMPH-T will confirm a similar previous study by the Cancer Institute of New Jersey (NJ, USA), in which researchers showed that the approach of giving radiation therapy over a 2-day period was safe. OC: How do the results compare to other accelerated forms of radiation, such as intraoperative radiation therapy (IORT) or hypofractionated WBI? FV: The published results with intraoperative single-faction radiotherapy either with electrons (ELIOT-trial) or with soft X-rays (TARGIT trial) proved the inferiority of single fraction IORT compared to WBI. External beam APBI (with 3D-CRT or IMRT) is currently being studied in Phase III trials. Interim Phase III trial results of the RAPID trial comparing External Beam APBI with WBI showed increased toxicity in the external APBI arm. Further Phase III trials are ongoing and results will validate whether APBI with external beam is comparable to WBI in terms of efficacy and safety. Dr Whitworth is a pioneer in new methods of breast tumor localization that both improve the surgical outcome and the patient experience. Among his clinical interests are cancer genetics, targeted treatments, minimally invasive surgery and breast oncoplasty. Some of his recent work and publications include advancing and expanding the use of genetic testing by breast surgeons to aid in decision-making and optimal patient treatments. Dr Vicini has been involved in numerous national clinical studies involving breast and prostate cancer and has designed and developed numerous Phase I/II trials to evaluate low-dose rate and high-dose rate brachytherapy as the sole method of radiation therapy for selected patients with stage I & II breast carcinoma as well as 3D conformal external beam RT APBI. He is currently the Principal Investigator for the national NSABP B39/RTOG 0413 Phase III study comparing partial breast irradiation (PBI) versus WBI. He is also the Principal Investigator for a second Phase III trial from the NCI to investigate accelerated whole breast irradiation with a concurrent boost versus standard therapy for women with early stage breast cancer. His research continues to focus on improving therapeutic outcomes for all stages of breast cancer and to reduce treatment times and minimize damage to healthy tissue and vital organs. Disclaimer: The opinions expressed in this interview are those of the interviewees and do not necessarily reflect the views of Oncology Central or Future Science Group.